Forbes ranks the most expensive ZIP codes for 2006. 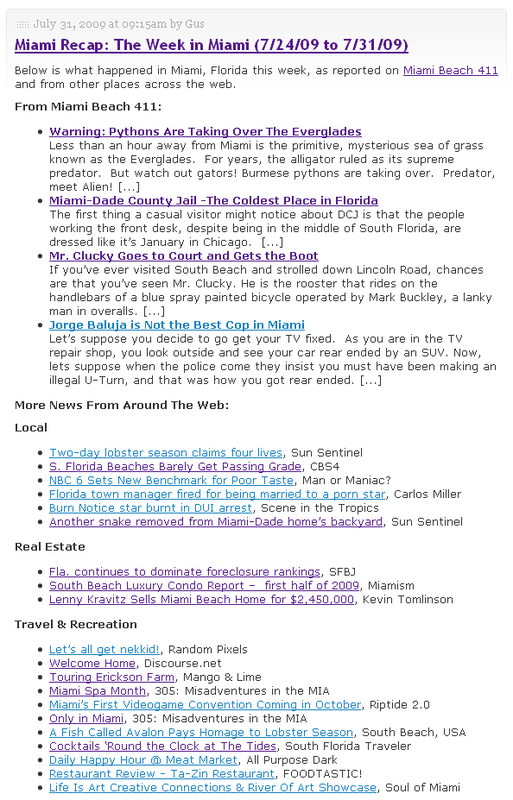 Miami Beach, FL comes in 10th place with a median home sale price of $1,942,500. 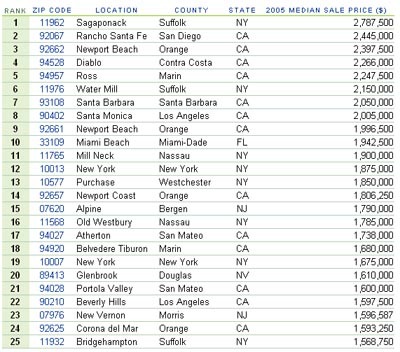 Forbes based its rankings on the median home sale prices in 2005 for each ZIP. Home sales data is collected for counties covering approximately 80% of all U.S. households, with a focus on metropolitan and suburban areas.